For this build we opted to go with 16GB of DDR4 memory. The parametric filter finds the best price on 16GB kits of memory that are within AMD’s recommended specifications. We've limited it to a range from DDR4-2666 to DDR4-3200 as Ryzen CPUs scale well with higher frequency memory. At the current time, using memory rated over 3200mhz is not advised without doing extra research as DIMM support can be hit or miss. AMD is working on releasing additional BIOS updates to add better compatibility for higher frequency memory. At this price point we suggest using the Nvidia GTX 1060 6GB edition. We specifically filter for the 6GB model as the 3GB not only has lower VRAM but also a lower core count leading to lower fps while gaming. The performance across most games will be similar to the AMD RX 570. We've created a parametric filter to show you the lowest priced, full sized GTX 1060 6GB which will be powerful enough for most AAA games at 1080p. All of the components are housed in the MasterBox Lite 3.1 TG MicroATX mini tower. This case is an affordable option that has a large side panel window, front panel USB3.0, room for full size graphics cards, and cutouts in the motherboard tray for easy cable routing. Does this need extra parts like fans, etc.? The CPU comes with a stock fan. What other cases would be compatible that also looks cool? Hmm… Could save $20 with R3 2200G without losing performance. Seems the price of R3 1300X is going up since Ryzen 1st-gen is now out of production, but enough demand still exists? Huh. But still, why pay $20 more for what looks like the same performance? With the 2200g you're also paying for the onboard graphics, and with this build you're using an aftermarket GPU. No point of integrated graphics if you have dedicated graphics and 1300x performs a little bit better. The 2200g has the same stock speeds as the 1300x and the overclocking potential is the same. It's $30 less for the same power. If you're buying a new motherboard right now, all the of them should be updated out of the factory. Make sure you go with a reputable SSD/HDD manufacturer (many prefer samsung for SSDs and Western Digital or Seagate for Hard Drives). The people who put these builds together don't take that stuff into account. I've heard that the CPU fan is really hard to install, better look it up more. What would you recommend if I were looking to add an optical drive? Get an external drive if you are gonna use it 'sometimes' only. If you dont want it to be inside your case all time, then you have to choose a different case. Thermaltake h15? Nanoxia Deep Silence 4 maybe? So... I bought all these parts (with some compatible modifications), and they are sitting here on my table because I've never built a PC before. I know I can just go straight to YouTube, but does anyone here recommend a particular build basics video? Something that explains what goes where and how and why, and maybe explains what various cables are for? help :) Thanks! You can also look for some mobo-guides on google where they exlplain what every slot is for and what you can connect to it. Most mobos work the same and the slots and ports have the same designation most of the time. In addition to that watch the video wayne.wu posted and maybe one or two more if you are still unsure. Does the CPU come with Thermal Paste Pre-applied? OR do I need to buy some? Also do you suggest buying an anti-static wrist band? The bottom of the heatsink that comes with the CPU has the thermal paste pre-applied. If you're really worried about static just don't build on a carpet and touch a doorknob or something to ground yourself. yeah np, but im not really the person to ask for advice on a build list. I've never built a pc nor can i afford to anyway xD. I went ahead and built this. After a brief scare where I didn’t install the RAM sticks all the way, I’m pleased to say my first build was a success. Except, when a try to load up (an older torrented) version of subnautica it tells me that the graphics card is not strong enough, and I get like 2 FPS on the menu screen. I find this pretty hard to believe that this $300 GTX 1060 can’t handle that game. Is there something wrong here or is the card really not strong enough? Err, the 1060 can run Subnautica if have have the most recent version. But you really shouldn't be torrenting at all, never mind telling everyone that you are. This build or the modest Intel build? I'm mainly looking to edit videos with a little gaming on the side. I'm new to all of this by the way. Thanks. How well would i build like this be able to run medium games such as: Fortnite, Pubg, League of Legends etc.? This will not run most AAA titles at 100 fps, but even PUBG runs at 90fps on my system. (With drops to around 50). I have a Ryzen 5 1600 though and PUBG is extremely CPU dependent. I think it is very limited in multi-core optimization though so I think clock speed will matter more. This absolutely will run 100+ if not 300+ on LOL and should easily push 150+ on Fortnite. Those games aren't demanding at all. PUBG is an entirely different matter. How well would it run Blizzard titles like Overwatch, Heroes of the Storm and Starcraft? Would I be able to substitute the GTX 1060 with a GTX 1070? Are the dimensions of the gpu variation important? I was thinking of switching out the "GTX 1060" for an "MSI Radeon RX 580 8GB ARMOR MK2 OC". it's around the same price and would work better with my free sync monitor. would this be a good idea? Sounds like a good idea to me. I don't see anything wrong with changing the GPU, as it should be compatible. You can swap it. Dimensions are important and factored into the compatibility engine. Do the dimensions of the 1070 have to match those of the 1060, or can they be somewhat close? I just want to make sure it will fit in the case without any problems. Also, would I have to worry about compatibility with other hardware components (motherboard, cpu)? They don't have to match. I'm new to all this, but would I be able to run dual monitor perfectly fine like playing CSGO(120-200FPS)/LoL on the first monitor and have Netflix running on the second monitor? Would this build be fine not getting too hot and loud as my room tends to get pretty hot even with a fan on during summer? Yes, it would do that fine. I dont play many AAA games outside of WoW. What kind of fps could i expect from this build if i run WoW on high or ultra settings at 1080p? I can't give any specific numbers, but I would say "more than enough". WoW is not terribly GPU intensive. Any reason this wouldn't work for Ubuntu-style linux? I've verified the CPU and GPU should work but any advice appreciated. Nope. Will run Linux fine. just watched a side by side comparison of this cpu with i3 7100 and they are exactly the same. i3 7100 is much cheaper so would that be better? I am not sure because there could be different factors i dont know about. Ryzen supports overclocking and has 2 more cores. It also can be upgraded later on. So whats a good monitor to buy on this build? I just want something inexpensive without cutting any corners. Whats the best windows version to get for this, and where can you get it for cheap? How does this compare to, say, an Acer Aspire like this one: https://www.amazon.com/gp/product/B0722GKVTK/ref=ox_sc_sfl_title_1?ie=UTF8&psc=1&smid=A3ND8QLNDX995A ? First-time buyer/builder on a budget and not sure what to do. Thanks. Processor and ram would be about the same, the 1060 has about double the performance of the 1050, and this build includes an SSD rather than solely a hard drive which cuts loading times in half or more. But this guide isn't very good tbh I suggest working around it with a extra $100 and getting something like the build I just bought. But whatever you decide on be it this,the one you linked, or something like mine, you should be fine for quite a few years. Does this build require any additional fans? Also does anyone have any monitor recomendations? No, unless you're overclocking you should be fine with stock cooler, and case fan. Even overclocking the new wraiths are pretty good tbh. What would be a good monitor to get for this build? Any decent 1080p 144hz or 1440p 60hz monitor. I'm planning to buy this build, and build my first pc next month! However I'd like a different case/tower for the pc. The most intense game I play is Wow/final fantasy 14, and then League of legends and old school runescape. I want silence, or near it, and my case to stay fairly clean by itself. ) I REALLY want LED lighting, preferably a case that changes colors, any reccomendations? Orange/yellow/gold with a silverish metallic would be awesome too! Also, would this PC have any Issues with heat if played for 12+ hours? Not sure about noise, but it should run fine for extended runs. Hello, I'm trying to switch from Xbox One to PC and I was wondering if this would outperform my Xbox. I don't really want to go any higher on my budget so if this can perform at least 1080p60fps on high settings, I'll be happy. Yes, this should be able to get 60fps+ on pretty much any game released to date. Would this run something like Ghost Recon: Wildlands at an acceptable (not necessarily excellent) level? is this build good enough that i can stream and game at 1080p at 60fps with dual monitors? i'm still reading the website and been watching some videos to really get an indepth understand of how computers get built and such. any help would be appreciated, Thank and oh! wonderful build. You'll probably want to upgrade the CPU to something like a Ryzen 5 1600 to get more cores dedicated to encoding the stream, but it depends on the whether the game you're streaming utilizes multiple cores. What about the 1060 6gb with an i5-8400? Is that enough? The GTX 1060 ought to be. As for CPU's, the Ryzen 5 1600 is cheaper, has double the threads, and can overclock to easily beat out the Core i5 8400. I can pretty much guarantee the Ryzen 1600 can handle it, but if you're an Intel loyalist, I believe the i5 8400 should be able to handle it. Of course, this is entirely speculation based on testing I've seen around the internet, but I have not personally tested any of these configurations. The 1600 is $60 more expensive. The i5 8400 also has a higher turbo frequency. However those are the only downsides as the 1600 has double the Cache, 12 more threads and higher minimum frequency. How important is minimum/highest clock speed, cache and threads? I don't mind spending more money to get a way better CPU. For each, you can find decent motherboards at $60-80. 1600 is cheaper and with the included cooler can overclock all cores to something like 3.8Ghz. If you're streaming, the 8400 will never hit its turbo speed of 4Ghz because you'll be using too many threads too heavily. The turbo for all cores is 3.8Ghz, which will end up being pretty much the same as an overclocked 1600. So... I personally recommend the 1600 (or higher, e.g. 2600, 1700, or 2700, but those are obviously more expensive), but I believe the 8400 will be "adequate" for streaming 1080p games. This stream was produced with 8400 and GTX 1060: https://www.youtube.com/watch?v=4pR4A-LBn7Q so it should work fine. I just think 1600 is less likely to have stutters in the stream/game, but either should work. Would this be able to connect to wifi as-is, or would I need to buy something else to do that? How many USB ports would be available on the finished computer using this motherboard/case/etc.? You'll need a WiFi addin card. And since the motherboard is using a filter rather than being hard set, it's hard to tell you how many pets it'll have but I can pretty much guarantee it'll have 8 or more. Im building a similar computer with the same graphics card but instead of the same cpu you have I am using a ryzen 1500x cpu. How well do you think this would run Games like Battlefield 1/V or fallout? This might be a stupid question to ask, but does this work with Ethernet as is? Do I need to get a network card for this build for ethernet? How about a wifi connection. I'd like to add wifi and Bluetooth and am looking for recommendations.. Should I buy a motherboard with bluetooth/wifi built-in or add the card separately? If I add a separate bluetooth/wifi card, will I have space in the case and be able to connect with the included motherboard? I have recently decided I want to learn how to put my own pc together, and just found this site. Very nice. I found this build and I wanted to ask a question or three. I plan on playing Fallout 4 with some mods that are known to be graphically intensive (or at least known for fps loss), but I'm not going to be playing at ultra or anything. I don't mind medium settings. I probably wouldn't mind playing at 720p honestly. I also will probably play the Witcher 3. I've heard that Fallout prefers Nvidia cards. Does that matter given that I am not going to use higher setings? Or should I lean toward Nvidia for Fallout regardless? I also want to build my pc in such a way that I leave the door wide open for future upgrades if I want to upgrade later. Basically able to upgrade anything and everything if I needed to for some future game. Is that something that is doable? Or am I dreaming? And lastly, my pc will be using my TV as it's monitor if that makes a difference. Thank you for any information or input. hey I wanted to ask if it runs games like fortnite and pubg without lagging? Yes, a mid tower will work fine for this. Would this build be able to run a game like Doom? Also I was wondering if I would have to purchase a receiver to add on or if it already has one? Doom plays at Ultra settings 60 fps. Would this include windows 10? Or do I have to purchase a copy? You would need to add a copy of Windows to the build. Anyone got any advise between the rx 580 8gb and the gtx 1060 6gb? They seem similarly priced, maybe the 1060 has an edge there but 580 has free sync compatibility. The rx 580 8gb is only slightly less powerful then the 1060 6gb, but if you're looking for minimum response time over performance, go with the 580 ( of course only if your monitor supports free-sync). When buying the parts from these guides, does thermal paste come with the cpu or do I have to buy it seperately? And if it does come with the cpu, are there better options of thermal paste? or is the that comes with the cpu sufficient enough? I got a free tesla c2075, is it compatible? So I only need these pieces to build and get the computer running, or do I need to buy some more pieces? These are all you need for the build to function. Upgrade as you see fit. Just used this build myself and everything's working amazingly (considering I only really use it for gaming), but I was wondering if additional intake fans would be suggested for this build. Great build I think you could have gone with a different case (such as the Fractal Design Meshify C Mini) because as I see, the power supply will choke at least one fan of a custom GPU cooler and you will have lower compatibility because all future cards will need to have a blower style cooler. I fail to see how a card mounted in the top two slots (as it normally would be) would have its airflow obstructed by the PSU any more than any other MicroATX case. Is this statement based solely on the stock image of the case that shows the card mounted in the sub-optimal bottom two slots? What case do you recommend for this build? The S340 has horrendously restricted airflow and would not be a good choice for a air cooled build. The Meshify is over double the cost of a Q300L. There is no problem with the Q300L. The GPU is being installed in the top 2 expansion slots so there is plenty of room between it and the PSU for it to breathe. The only change I would make is adding at least 1 preferably two extra intake fans. I've used the Q300L. It's a perfectly good case and you probably wouldn't run into any issues with it. Build quality is really good for its price point. The Core V1 would take that S340 to town in terms of airflow. For under $50. And the 1060 fits in it, too. Or go with the V21 for $60 and just have ridiculous amounts of airflow since this build uses an mATX board. The Q300L looks like a compromise between Mini ITX and mATX in terms of form-factor. I want it. Something that is a mid tower like a Phanteks Eclipse or something else with a reasonable price. Would this build be viable if all parts were kept the same, but the CPU upgraded to the Rysen 5 1600? The R5 1600 uses the same socket as the R3 1300X. So yes, this build would work with a straight CPU swap, it would just raise the cost of the build by about $80, or about 10%. Whether that's worth doing is the question. Out of the box the 1300X is clocked at 3.5 GHz, whereas the 1600 is 3.6 Ghz. The 3% difference in clock speed isn't worth mentioning (and lets not make life hard by worrying about overclocking, boost frequencies, extended frequency range, etc.). So then the question is, are the extra threads on the 1600 worth it? The 1600 has an extra 2 cores and SMTP, so 12 threads instead of 4 on the 1300X. The conventional wisdom for a long time was that, for gaming, single core performance mattered much more than the number of cores/threads, and you really only needed higher thread count CPU's if you wanted to do a lot of multi-tasking. I personally think that wisdom is (to an extent) out of date. Ryzen made higher thread counted chips available at lower price points (even more so now that Intel have responded in kind), and I see AAA games increasingly exploiting more cores and more threads (BF1, for example, can certainly avail itself of more than 4 cores). That would be my concern with the 1300X. I think there's a very good argument to be made to step up to the 1600, at this level of build. The GTX 1060 still has some useful life left in it for 1080p AAA gaming, even if not at max settings, and I think it could use a better chip. Maybe it won't buy you very many extra fps in your games today, but it will give this configuration a longer gaming life, which (I think) justifies the extra 10% in cost. It would also mean that you could at least have the option, say in a couple of years, to drop in a better graphics card and extend the life of the system even further, whereas with a 1300X there would really be little point doing that without a CPU upgrade. is this capable of vr? if not, how can I upgrade so? The 1060 6GB in this build is what I'd consider a minimum for decent VR, but the 1050Ti does still meet the specified minimum requirements for Oculus. So yes, this build is ready for VR. The description says that they reccomend the "Nvidia GTX 1060 6GB edition" GPU. But I don't see this GPU on the parts list? Does the part's list not include everything you need? Obviously. You can hardly play 4k 60 FPS at less than 1200 USD. The PSU costs more than it needs to. The $40 EVGA 500 watt bronze is all you need. There is no need for a SSD or if I was going to get one I'd just buy a larger 1tb one and ditch the HDD. You wouldn't see any increase in cost if you purchased cheaper ram and a cheaper PSU. The motherboard is decent and I would have gone with the Ryzen 3 1200 because even without overclocking it should easily achieve 60 frames per second, and most people have 60hz monitors. Overall I think you could save 100$ and all without losing more than 10% of your frames in only the most demanding titles out there. I currently use a Ryzen 5 1600 and the same GTX 1060 model that is here, and I've determined this by underclocking and disabling cores just so that I have the first hand knowledge of what it is like running a system like this. I also tested with my ram at the stock 2133mhz base clock and I am using an ADATA 120gb SSD to boot. If my numbers were off, it may have something to do with that, but again, I'd just buy a larger SSD instead of spending any cash on that HDD and more expensive PSU, etc. cheap and good ram is hard to find. any recommendations??? When you say "not to be rude" then make a rude comment it doesn't excuse it. You removed storage, went with a lower quality case and power supply and increased the cost. Additionally, the 1400 was not used because the CPU has been discontinued. When I say "not to be rude" it means what I'm about to say should be taken as constructive criticism, and thoughts, not just telling you that you are wrong. Will you realistically need more than 500gb on a gaming machine? I've never seen the point in paying more than $40 for a case, yes it looks better, and you get better cable management, but does not necessarily effect the performance of a computer. 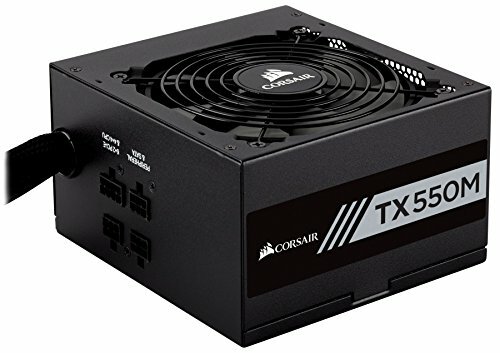 What's is the point in getting better 550w power supply over a 450w when your PC uses 300? Also 1600 was NOT discounted, it was permanently marked down. Alright, first off, "not to be rude" was to say that it is ment as constructive criticism, I always say that before telling someone my opinion because I'm not that good at saying things without being rude. A lower quality case won't affect performance, and the 2 power supplies have the same specs. I also had double the ram, 8gb just isn't good enough anynore. The 1300x that you had was also discontinued, it is also the same CPU as the cheaper 1200, it just has a higher core clock, which you are able to achieve with the stock cooler. I also had the 2400g on there not the 1400. Now on the matter of storage, I've used a 256gb SSD for 3 years now, I only recently added more storage because I wanted the space, having that extra 2tb, in my opinion, is preference, I personally would go for a 500gb SSD instead of both of those. Even with an extra 2tb I've still barley gone over 500gb. I don't see how you have enough money for 16GB or RAM with those changes. I'm ok with dropping the PSU down to bronze, and saving money via the 2200G for sure though. Changing the hard drive to a Seagate won't help much, and regardless of how much faster the same drives are than typical SSDs, you won't feel that difference much if at all. Why downgrade to the 2200g?